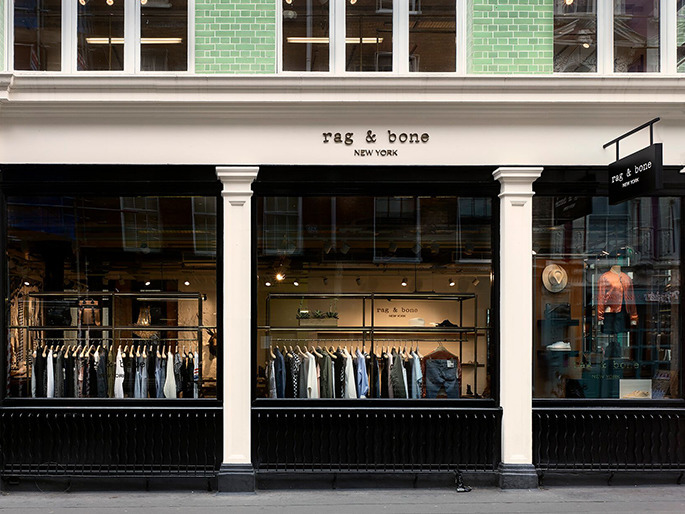 American high-end fashion brand Rag&Bone celebrated its 15th anniversary by adding a third boutique store to its London portfolio, in the 1904 corner plot of Soho’s Beak Street. 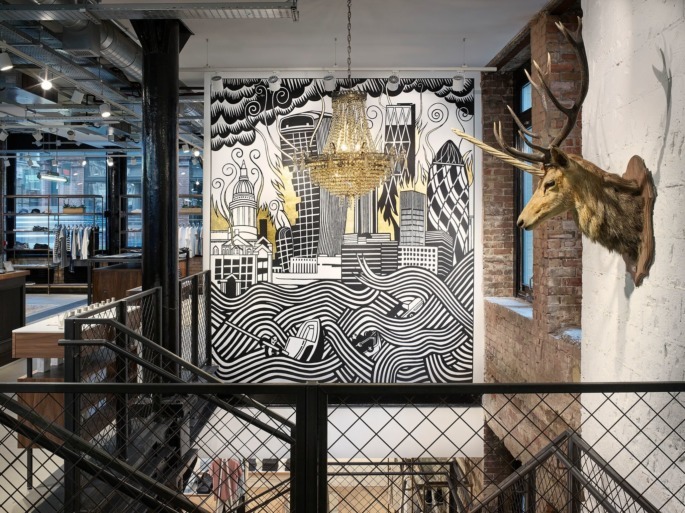 In a blend of downtown New York meets London Victorian, the internal exposed brickwork, plaster and concrete architecture is offset by antique furniture, hand crafted leather upholstery and local British artworks, including a specially commissioned graphic. British artist SHOK-I also filled the basement with a series of x-rayed hands and bones which extend to the newly renovated rear courtyard that was cleared during the construction works to provide not just somewhere to shop, but also to hang out. Hidden away behind Piccadilly, in a Westminster conservation area, this glazed tile green building, designed by Alfred Grace, was dilapidated and in need of substantial structural renovations. The building was opened up to accommodate a hot rolled steel mesh staircase between basement and ground floor. 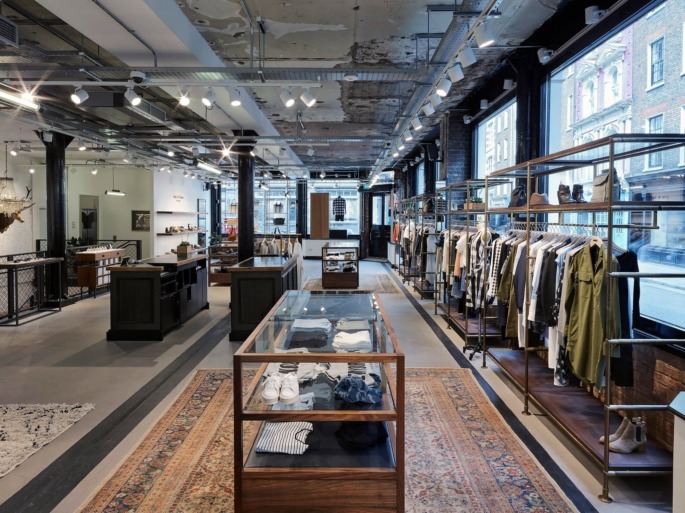 Harris Tweed fabrics, New York fabricated custom furnishings and steel exposed building structures are just a few of the things that make this store design timeless and bound to get better with age. Working closely with Rag&Bone’s head office in New York, Hyphen was engaged in the project from inception to completion and our works extended over five floors from the retail spaces through to the Rag&Bone showroom and office areas above. The complexity of the site necessitated us to gain three separate planning permissions for changes to the shop front and roof top area.